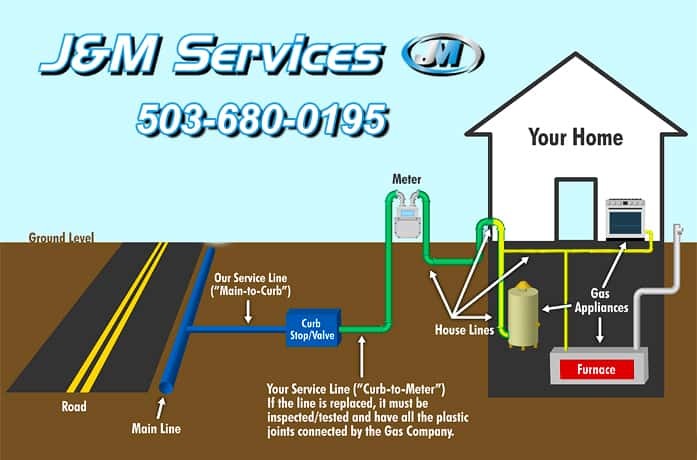 Welcome to J&M Services, the premier choice for Gas Line Installation in Gresham Or! A family friendly workplace and treating our skilled Gas Line Installation Technicians with the utmost respect has been our theme since day one. Our family of skilled Technicians truly love training & working together, and it shows where it counts, at your home! 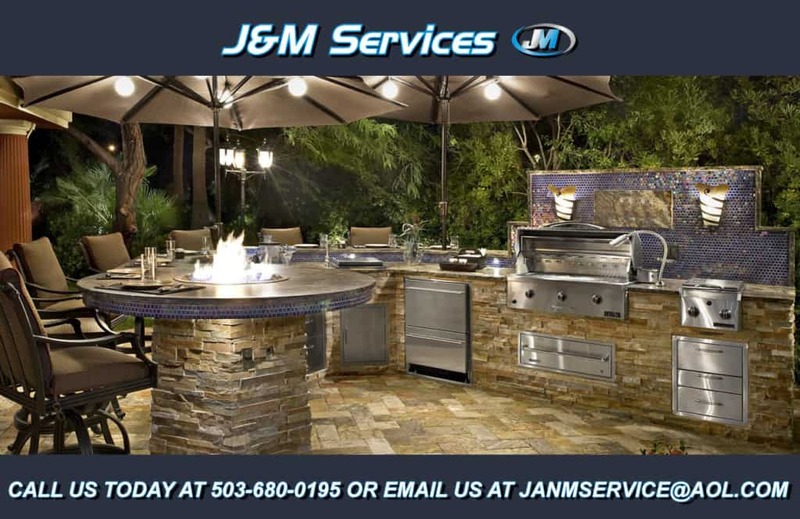 J&M is determined to maintain the high level of professionalism that is to be expected of the best Gas Piping Gresham Contractor in the Portland Metro. Our highly trained & certified Gas Line Installation Technicians are the backbone of our Company and our #1 resource, and it clearly shows in the 100’s of positive customer Reviews! Continuous training & certification programs keep us sharp and up to speed on current gas piping code & modern equipment. We treat each of our skilled Technicians as an individual and are always on the look out for their specific needs both work & personal life. Creating and maintaining a positive & rewarding work environment is always at the top of our priority list, we know we wouldn’t be the number one Gas Piping Gresham Or Contractor without our amazing Technicians! J&M Services is your Gas Piping Gresham Specialist! What makes us so different from any other company offering Gas Line Installation services? We do not provide water plumbing, we do not provide any type of HVAC Equipment sales or installation, instead we choose to focus on specializing in Gas Piping Gresham Or. What does this mean for you as our valued Customer? This means our entire fleet is specifically designed as Gas Piping Gresham Contractors, utilizing top industry tools including self oiling Ridgid gas pipe threading machines and only Ridgid brand hand tools. We carry every possible gas fitting that could be required on the job, and stock every specialty tool required for any gas line installation we encounter on each our fully customized vans. We get the job competed on the 1st trip without leaving for missing fittings or tools, and have the right tools & training to complete the work in an extremely timely manner. This labor saving plan gives us a distinct edge over the competition, allowing us to offer amazingly affordable prices to our Customers! Our Technicians are certified Master Fitters and take pride in every gas line install they complete. A quick search online brings up literally 100’s of 5 star reviews with detailed descriptions from J&M customers who have already given us a chance to prove ourselves. If you have a Gas Pipe with a possible leak, we can definitely help you, however, if you smell gas your first call should be to Northwest Natural! Contact them immediately 800-882-3377 if you even suspect a gas leak! Not only is J&M your Gresham Or Gas Piping Installation Specialists, we also specialize in Ventilation & Duct Work. This means we are your one stop shop for Kitchen Remodels involving new Gas Ranges and Kitchen Hood Vents, laundry room upgrades including Gas Line Installation to Gas Dryer units and new Dryer Vent Installation, and more. We will not install, sell or service actual HVAC equipment, which keeps our overhead costs lower than other Gresham Gas Line Installation Companies and allows us to focus our training on being the best Ventilation & Gas Piping Contractor Gresham Or has to offer! Our Flexible Duct Replacement rates are the best around, with only top grade materials installed along with master certified Technicians. 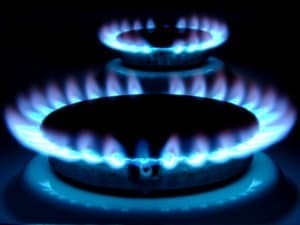 If you’re considering a new Gas Appliance and are concerned about the costs of a gas line installation, you’ve come to the right place! Although J&M Services specializes in all types of Gresham Or Gas Lines Installation including gas lines in new homes being built, Large Industrial & Light Commercial Gas Pipe Installation, our real niche is homeowner projects. We’ve established an easy to understand base rate plus footage pricing system, which allows us to give home owners a very solid idea of the costs involved often with just one brief phone call. This allows you to purchase a New Gas Appliance confidently, knowing there will be no hidden surprise costs in the Gas Line Installation. And with our combination of specialized knowledge, tools and bulk purchasing of Gas Pipe materials, we’re confident you will be pleasantly surprised with just how affordable your new Gas Line Install can be!